To be a good telemarketer, there are all manner of attributes that contribute to good cold-calling and to better telemarketing results. In the infographic above, we detail the 50 behaviours that callers need to demonstrate if they want to improve the chances of hitting their sales targets. Take a look and see how many fit with your current way of working. What can you do to increase the number of decision-maker conversations and the quality of the results that you generate from your telemarketing efforts? 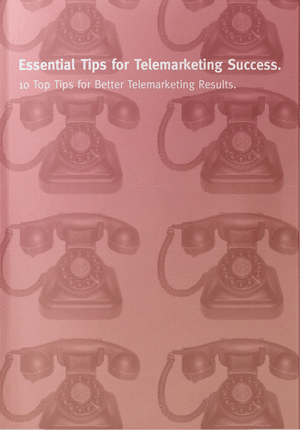 Whilst no telemarketer is perfect, there are certain approaches that help and some that hinder. We have to recognise that, to some extent, sales, and telemarketing in particular, is a numbers game. At any moment in time, only so many companies in your target area will be looking for new suppliers. Profiling and segmenting your data before calling will certainly help. But the reality is that it’s still a case of making sufficient calls to enough people to reach those decision-makers that are in the market at any given time. As a consequence, it would be a huge shame, when the telemarketer does finally speak to the right buyer who has a defined need, that they blow their chance by not demonstrating credibility, professionalism and the skills that encourage the prospect to consider them for their shortlist. So, check out our Infographic above and consider how you can exhibit the necessary behaviours to power your lead generation.